I'm donating a minimum of 10 % of the royalties from the sale of this book to Born Free Foundation, plus I'll also be contributing royalties to other wildlife conservation groups. Nominated for the Big Al's Books and Pals Readers' Choice Young Award in the Young Adult Category! Readers' Favourite Young Adult - Coming of Age Honourable Award Winner! "In this beautifully poignant novel, Sibel gently leads us through Jazz's recovery and return to normality. Some powerful lessons are learnt along the way." 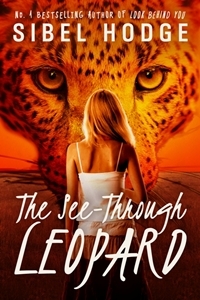 "The See Through Leopard is a lovely story about fighting for survival, healing, and recognizing that our scars don't define us."